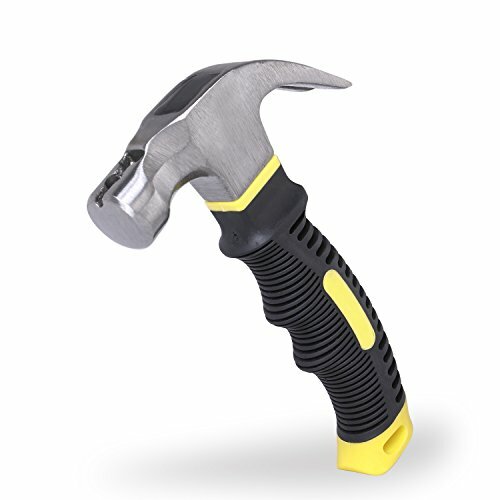 Tackle any DIY or home repair project with the 16 Ounce Claw Hammer by Stalwart. 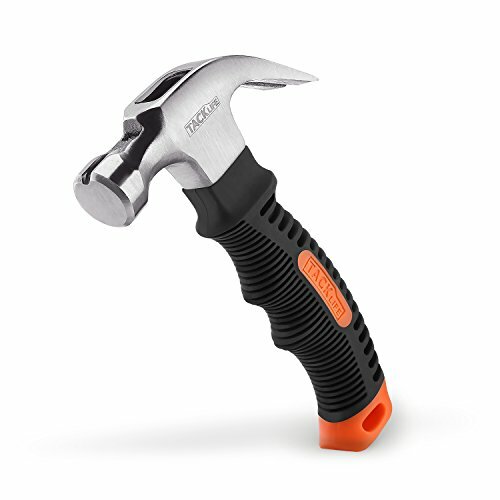 The head of the hammer is made of drop forged and heat-treated steel to be strong enough to stand up to daily use, and it is permanently bonded to the handle with a durable epoxy. The handle is made of polished hardwood that has natural anti-vibration properties and is contoured to fit your hand comfortably. This reduces user fatigue and reduces the chance of injury from repetitive motion and vibration. The hammer face is smooth, so it won t mar surfaces when struck. The rear of the head features a deep-curve claw that gives you plenty of leverage for removing nails. The tips of the claw are chiseled to help remove stubborn tacks and nails. 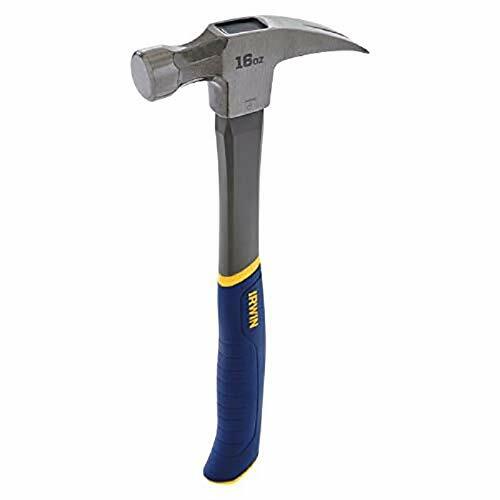 This hammer weighs just 16 ounces, making it easier to swing and a great basic hammer for new homeowners and professionals alike. SATISFACTION GUARANTEED- Stalwart is committed to providing the consumer with the absolute best price and value on all of our products, which we ensure by applying a rigorous quality control process. 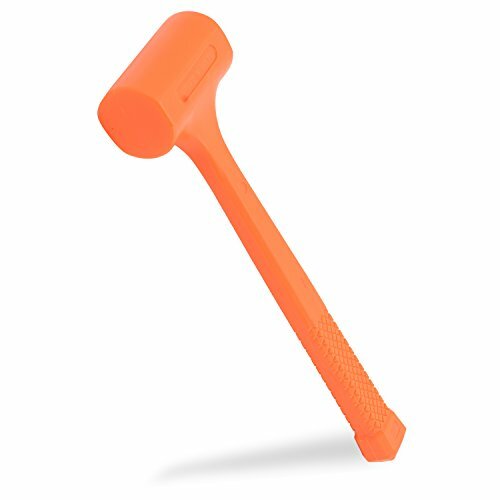 NOTE: This is an exclusive product of Stalwart and ONLY 16 Ounce Claw Hammers by Stalwart are GUARANTEED to be genuine IMPORTANT: Avoid buying counterfeit products and transacting with unauthorized sellers. Look for our logo on the packaging for every one of our products. Stalwart is a registered trademark protected by U.S. Trademark law and will be vigorously defended. EFFICERE 8 oz. Stubby Claw Hammer is a re-engineered and refined classic. 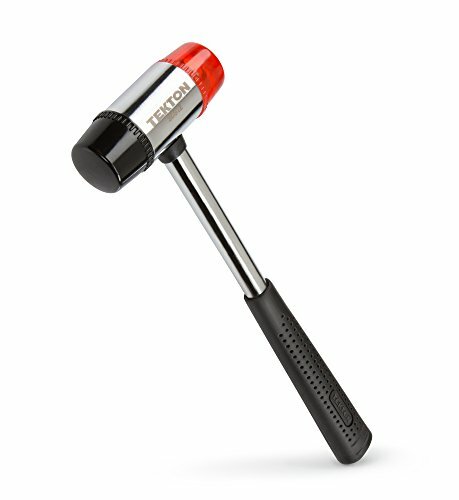 With a compact 8 ounce head and a stubby 6-inch overall length, this hammer is your perfect choice for small home projects and tight work spaces. It features a built-in magnetic nail holder for easy start with one-handed operation. 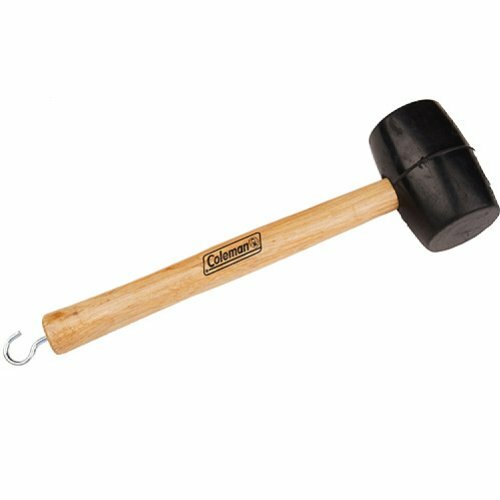 Constructed from hardened and forged alloy steel for dependable strength, the hammers head is permanently and securely assembled to fiberglass handle with epoxy that will never loosen over time. Its high leverage curved claw can easily help you pull out tough nails. You will also love the specially designed anti-vibration and anti-slip soft rubber handle that gives you the maximum comfort and balanced striking power during use. Estwing Rock Picks are the #1 choice of geologist and paleontologists worldwide. These American made striking tools are fully forged in one piece making them the strongest, longest lasting geological tools available. This rock pick features our patented Shock Reduction Grip the most comfortable, durable grip on the market. The Shock Reduction Grip reduces impact vibration by over 70%. It is molded and bonded directly to the tools steel core, meaning it will never slip, even under the harshest conditions. Estwing striking tools are proudly made in Rockford, IL. EFFICERE 22 Oz. 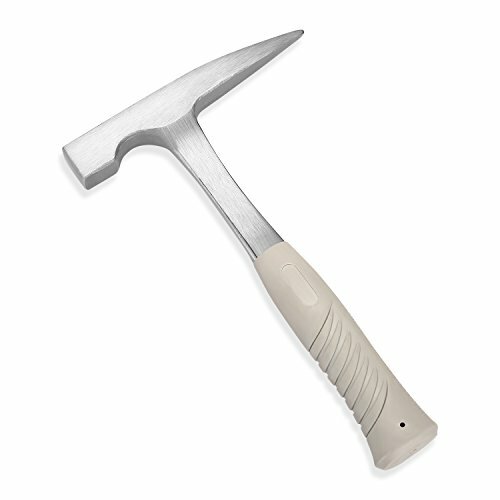 Rock Pick Hammer is a must-have tool for contractors, campers, hunters, prospectors, geologists, archaeologists and paleontologists. It is perfect for breaking and chipping bricks / concrete / stones / rocks in masonry construction, prospecting, mining, geologizing and a lot more industries. 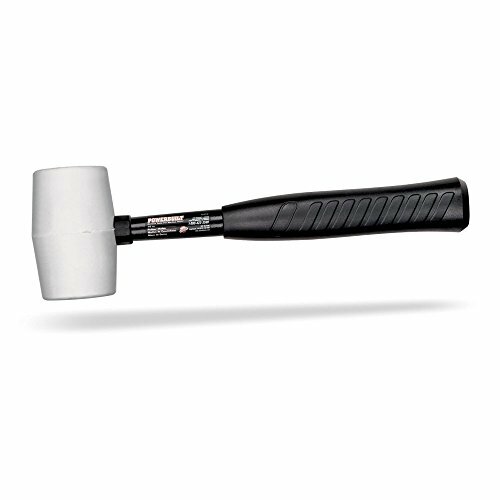 Featuring a square striking face on one end and a sharp pointed tip on the other end, this hammer can also be used as an emergency hammer to break vehicle glasses. Made from hardened and forged alloy steel for dependable strength, the head and handle are designed in single piece construction that will never loosen over time. Its ergonomic anti-shock and anti-slip soft rubber grip gives you more comfort and control during use. Cut yourself free after an accident you want to act as fast as possible even injured and get out of your car as soon as you can and call for help. Our emergency tool will allow you to cut yourself loose even if it is a bit difficult to release yourself from the seatbelt. When the doors are jammed and you have freed yourself from the seat belt. The window is the next challenge. Break free and shatter a side window or front window depending where you sit and escape fast. Break free and escape from dangerous situations caused by car accidents. There is no time to loose when you are in danger and this tool will definitely save you time, injuries and friends and family. Escape alive with our emergency tool. Pointed steel head excellent for breaking windows and shattering glass in cars and vehicles alike. escape tool has a sharp razorblade seatbelt cutter which cuts off seatbelts webbing easily. Escape quickly when you or your loved ones are in danger, ensure the safety of your family and friends. 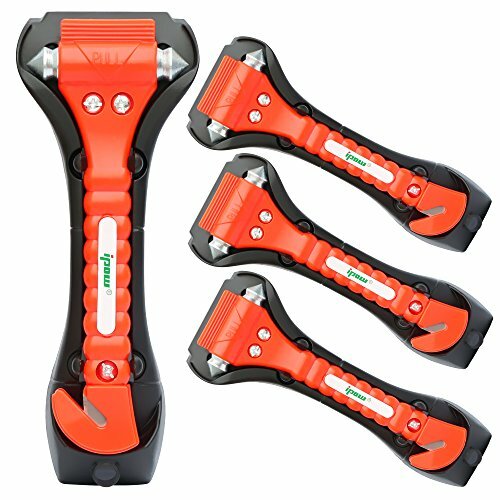 Multi-functional and helpful tool also compact and light can easily be stored in your glove box. 4 Emergency tools protect your friends and family and assure safety in your car. A Window Breaking Hammer, double-sided head with hardened sharp Stainless Steel Points shatters vehicle windows and belts in an emergency. Mounting bracket included ,it hold safety hammer in place when the vehicle does not work until needed. Fixed holder, so it will not fall even in a collision, but easily remove it from your car in an emergency. 4 PCS,share with your family or your friend.Note:Such use must beat the glass edge. 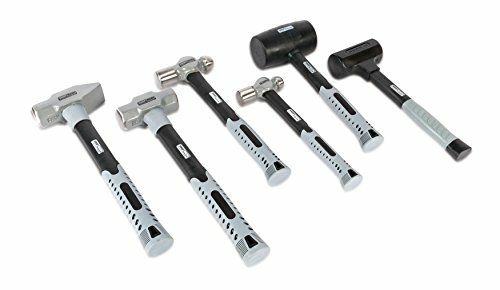 6-Piece hammer set. Comfortable, textured handles for handling ease. (1) 16 oz. 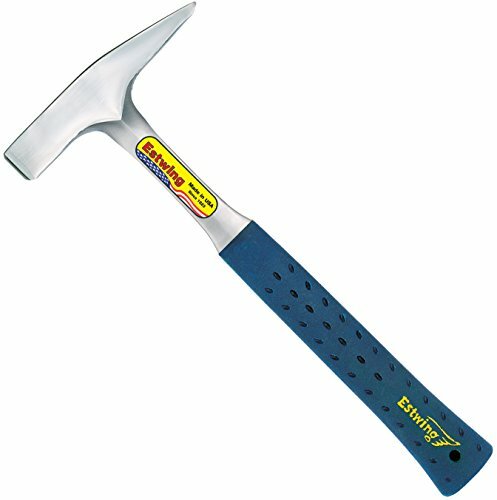 Ball pein hammer (63316), (1) 32 oz. 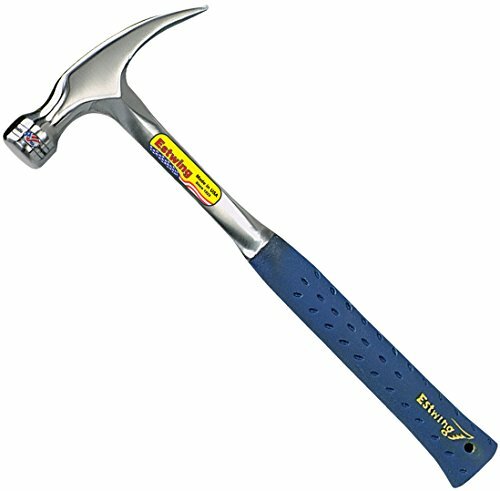 Ball pein hammer (63024), (1) 32 oz. 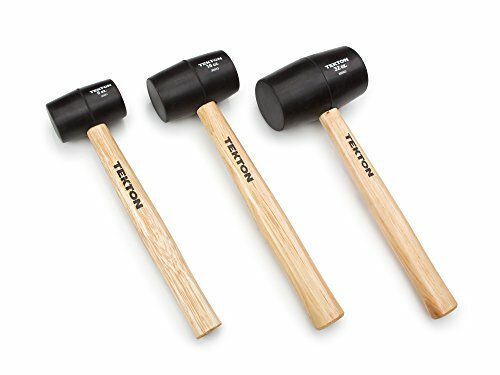 Rubber mallet (63232), (1) 3 lb. 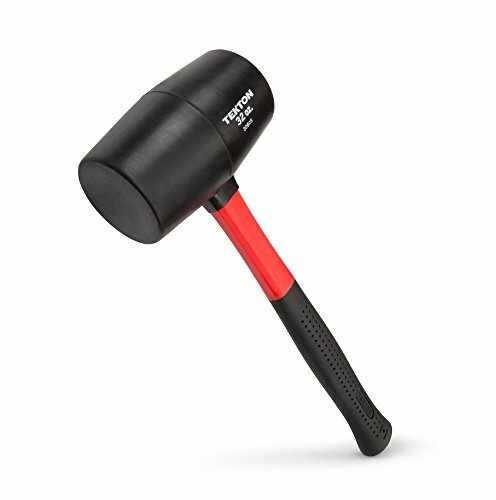 Sledge hammer (63000), (1) 32 oz. Dead blow hammer (63032). 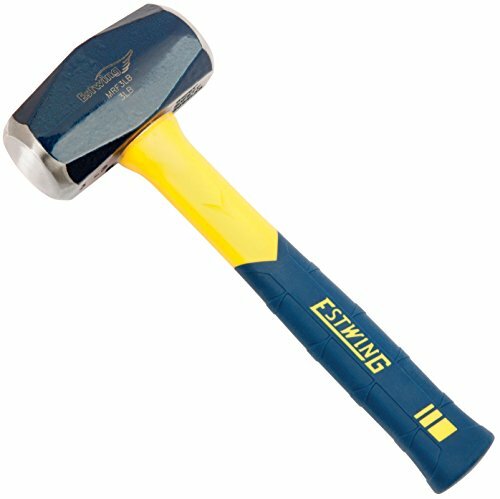 Estwing's Tinner's Hammers have a bonded and molded Shock Reduction Grip. The head and handles are forged in one piece and fully polished. These tools have unsurpassed balance and temper. Made in the USA using the finest American tool steel.